Jingle bells, jingle bells, jingle all the way! Oh what fun it is to run in the Jingle Jog 5K! We had a blast with this race last year. The timing couldn’t be more perfect to burn off your Thanksgiving calories and bring holiday cheer to everyone within hearing distance. First 100 registrants will be provided with jingle bells and a Santa hat (a better one this year). You can’t help but get in the holiday spirit by participating in this race. This is a chip-timed race. Race walkers are welcome to join us. Everyone whose registration is received by November 11 will receive a FREE race shirt. 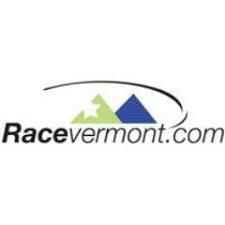 Age group winners (5-year age groups starting at 10) receive a RaceVermont.com pint glass. In consideration of the acceptance by sponsor of my entry in this event, I hereby waive any liability the sponsor may have arising out of my participation in this event. Furthermore, I acknowledge, agree and represent that I have read the rules and regulations of the event, and as a participant, I understand the nature of the activity required to participate in this event and the risks and dangers presented by such activity, including, but not limited to, serious bodily injury, permanent disability, paralysis and death, or the loss of personal property (“Risks”), and that I am participating in this event voluntarily and entirely at my own risk. Risks, regardless of the nature thereof, may be caused by my own actions or inactions, the actions or inactions of others participating in this event, the condition of the facilities or premises in which the activity takes place, or the negligence or willful misconduct of the Herzog Enterprises, LLC, RaceVermont.com Race Series, SFH LLC, Shelburne Recreation Department, Town of Shelburne, and all sponsors of this race (collectively, the “Released Parties”). I fully accept and assume, to the fullest extent permitted by applicable law, all such Risks and all responsibility for any and all losses, costs or damages I incur as a result of my participation in this event. I hereby release, discharge, and covenant not to sue the Released Parties, and if applicable, owners and lessors of the premises on or in which the event takes place from all liability, claims, demands, losses or damages on my account caused or alleged to be caused in whole or in part by the negligence or willful misconduct of the Released Parties or otherwise, including negligent rescue operations; and I further agree that if, despite this waiver and release of liability, assumption of risk, and indemnity agreement, I, or anyone on my behalf, makes a claim against any of the Released Parties, I will indemnify, save and hold harmless each of the Released Parties from any litigation expenses, attorney fees, loss, liability, damage, or cost which any may incur as a result of such claim. If any term or provision of this Waiver and Release shall be deemed by a Court of competent jurisdiction to be invalid or to be limited by operation of law or otherwise, such term or provision shall be limited accordingly and the remaining terms and provisions shall be given full force and effect, it being my intention that the agreements and covenants made by me in this Waiver and Release shall be interpreted and enforced to the fullest extent permitted by applicable law. I hereby grant RaceVermont.com and its sponsors, and their respective employees, subcontractors, representatives, affiliates, successors and assigns (“Authorized Parties”) the non-exclusive and transferable right, without any compensation of any kind or nature due to me, (i) to photograph, film, videotape or otherwise record images and/or sound depicting me and my property during or in connection with participation in this event (hereinafter “Likenesses”); (ii) to use and publish such Likenesses for any lawful purpose in print and/or electronic media; and (iii) to use or omit my name from any such use or publication, all of the foregoing determined by any of the Authorized Parties in their sole discretion. I acknowledge and agree that (i) I have read and understood each and every term, provision, agreement and covenant made by me in this Agreement; (ii) I may not modify or amend this Waiver and Release orally; (iii) I have given up substantial rights by signing this Waiver and Release; and (iv) I have signed this Waiver and Release freely and voluntarily, without any inducement or assurance of any kind.